Our monthly Thursday night queer rave happening Happy Endings has quickly gained cult status for their notorious toilet rave, abstract dress up themes and genre-defying bookings, and the latest edition Movembra is sure to be no exception. They have invited South London front-running female sound engineers, DJs and producers Omnii as their special guests. 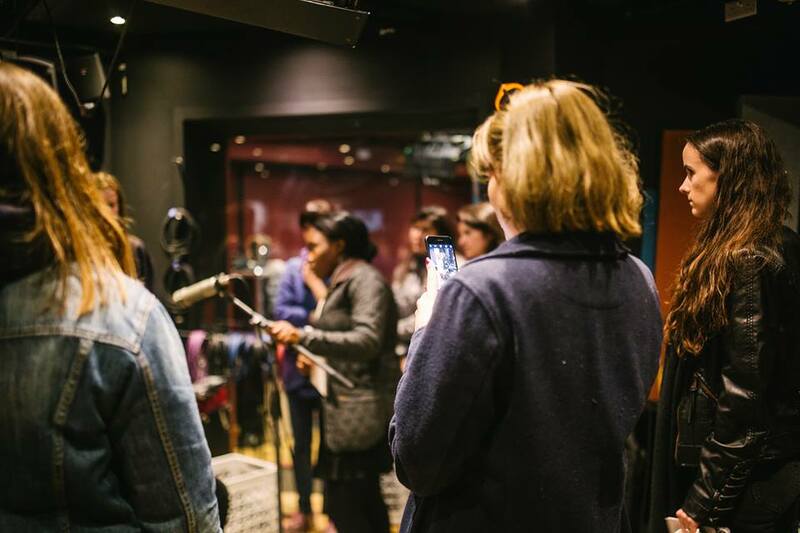 The collective run a range of initiative to encourage female and non-binary people into the music industry, as well as curating an interview series on Medium featuring female and non-binary audio pioneers. We caught up with them to chat challenging stereotypes, fighting misogyny and the future of a more equal electronic music scene! Hi Omnii! We can’t wait to welcome you soon for your Dalston Superstore debut at Happy Endings! Can you tell us a bit about yourselves for those who might not know you? 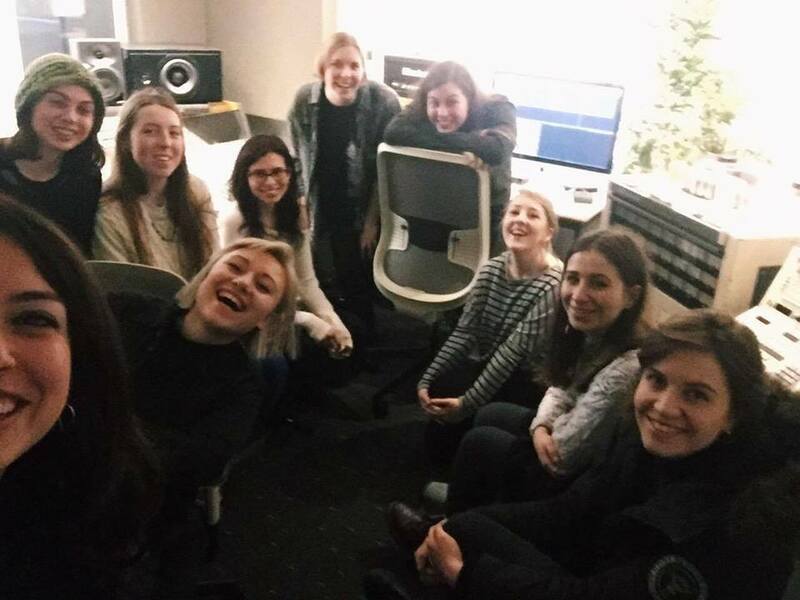 We are a group that aim to encourage women and non-binary sound-enthusiasts into technical areas of music including production, live and studio engineering. We run workshops teaching technical skills to improve people’s confidence in a highly male dominated area substantially lacking in female role models. Other than supplementing technical knowledge, our workshops help to build a community of like-minded individuals. We also have an ongoing feature series interviewing female producers and engineers about their work. These interviews have a strong technical focus, centered around music gear and recording processes. Also, we are now expanding our output to include gigs, events and as two of us also DJ, we’ve started doing this under the Omnii name as well. How did you initially meet, and what inspired you to start the collective? Omnii just turned one! Naomi and Fran met at university, but decided to start the collective when they were both working as live sound technicians at the Student’s Union. Fran was also doing a lot of studio work alongside this. We noticed very quickly that we weren’t seeing a lot of other women or non-binary people working in tech, and having had to teach ourselves a lot of it in the first place, we decided we wanted to build a community of encouragement to change that. Joy was also working at the SU in events at the time, and started doing live sound too. It’s been the three of us since September. How do you work to network and foster community with other female and non binary DJs, producers and sound engineers? The interview series has been really great for this, as it allows us to reach out to people we wouldn’t normally run into in person. Also recently, we have been really fortunate to be invited to talk at various events, such as Girls On Film and WITCiH (Women In Technology Creative Industries Hub), where we’ve met some incredible people and built connections that way. We’ve also run workshops for Red Bull Studios, and because they have a big pull in the industry and a huge network, we were really fortunate to meet lots of like-minded people and awesome producers, engineers and DJs there. Other than that, we’ve been getting an increasing amount of emails from really cool individuals in varying practices reaching out for contacts and meet-ups, so that’s really helped! Can you tell us a bit about the interview series that you run on Medium? Yeah! So we run interviews with a variety of women and non-binary producers, with the main focus being on their gear and production. We felt like so many interviews (particularly with women) are focussed around their songwriting and personal experiences, and very few focus on how they make music. This adds to the perception that women don’t know as much as men about the technical side. We’ve also run longer features with studio engineers, such as Steph Marziano, which have proved to be really interesting and offer great perspective and advice to people aspiring to get into the industry. There are some incredible female and non-binary DJ collectives really changing the face of electronic music at the moment – have you experienced a shift in attitude from the wider music community since you got started? Yes and no. We get a lot more people reaching out to us for collaborations and recommendations now, and we think people are becoming more aware of female groups working towards changing the demographic of the industries. The DJ collectives are amazing and we’ve been lucky to be on panels with collectives like Girls Can’t DJ. It does feel like a change in London and we’re getting there step by step but there are still a lot of perceptions that need changing. There seems to be a real sea change occurring in the DJ world – moving from cis men ruling the roost and guarding their knowledge closely to diverse collectives who aim to encourage marginalised groups to get involved! What are your final goals for changing the face of the electronic music scene? There is still a lot of work to do, but it shouldn’t have to only come from collectives like ours pushing to get talented women on DJ and festival line ups; it’s the promoters, labels and venues that need to recognise us and create a safe space. It’s easy living in London surrounded by a supportive scene of so many women and non-binary people in music and feel like cis men aren’t controlling the knowledge, but in reality they often do. We want to encourage marginalised groups to learn to be confident in the technical aspects of music when we are so often made to feel intimidated. Engineering and production can be very technical and hands-on in terms of hardware, and it would be great for this to more accessible. Something that would help is moving away from stereotypes in education from a young age. A huge general goal is to eventually have every aspect of the industry from the bottom up having equal representation. That is when we will see real change. Who are some of your favourite DJs and producers right now? At the moment we’re listening to Fatima Al Qadiri, Toxe, Umfang and Kaitlyn Aurelia Smith amongst others. These ladies are all killing it right now. It’s so hard to choose but Alkahaf by Fatima Al Qadiri is a great tune. What does 2018 hold for Omnii? And finally, what are you planning to unleash at Happy Endings? We try and play at least 50% by female / non-binary producers and DJs. We’ll be bringing some fierce techno to the dancefloor. Catch Omnii at Happy Endings this Thursday 16 November from 9pm-2:30am at Dalston Superstore!